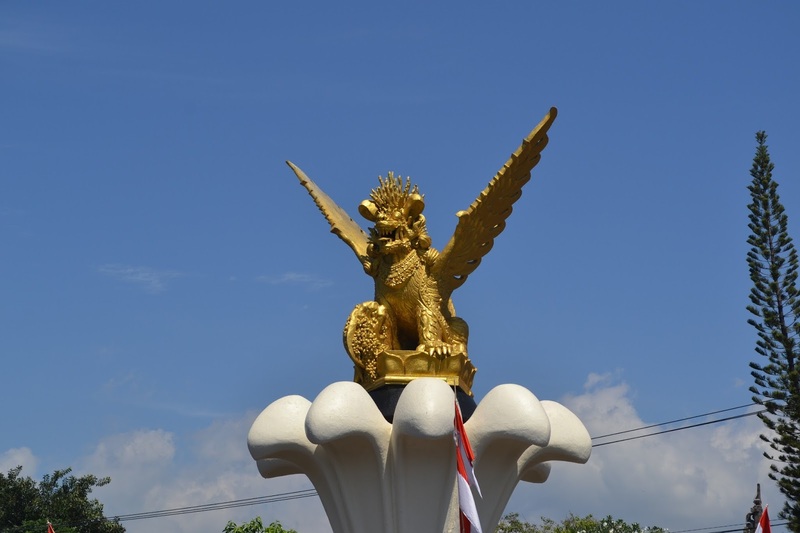 Singa Ambara Raja Monument is the mascot of Singaraja city in Buleleng regency, as the capital city of Buleleng. Singa Ambara Raja Monument was built in 1971 to commemorate the power of “KI GUSTI NGURAH PANJI SAKTI”. He was a ruler of the northern part of the Bali as The Island of Gods in 1660. He was success to built North Bali become a developed area. Singa Ambara Raja Monument emblematizes the strength, knight, and power of the Bali north leader. This monument located in the middle of Singaraja city, at the fork, in front of the Regent’s office. This monument supported by a statue with lotus shape, with 9 lotus petals which is the symbol of 9 districts in Buleleng Regency. The long feathers on both sides of the wings are 30 strands. That is the symbol of the birth date of Singaraja city. The feathers that grow from 3 pieces of wing bone as the symbol of the birth month of Singaraja city. And then the feather that covered the entire body of the lion is amount 1604 as the symbol of the year of the birth of Singaraja city. 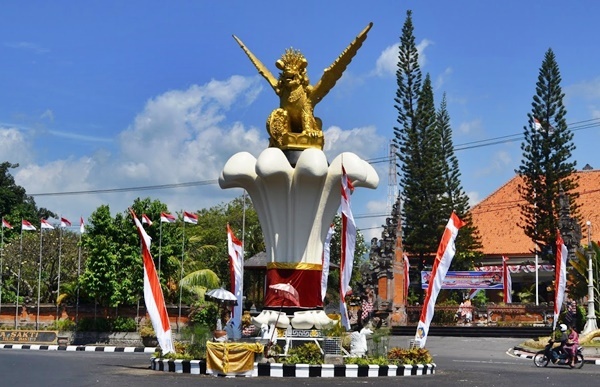 So, Singaraja city was born on 30 March 1604, and this monument was inaugurated on 30 March 1971 as the mascot of “SINGARAJA CITY. And every year, Buleleng people celebrate the anniversary of Singaraja city by a Buleleng Festival.